期待已久的 iPhone 4S, 發佈至今仍未有在香港開售的消息. 不過, Apple 突然於今天公佈, 香港, 南韓及另外 13 個國家, 包括在阿爾巴尼亞, 亞美尼亞, 保加利亞, 希臘, 危地馬拉, 薩爾瓦多, 馬耳他, 黑山, 新西蘭, 巴拿馬, 波蘭, 葡萄牙和羅馬尼亞; 將會在 11 月 11 日 (下周五) 當天同步發售 iPhone 4S. 正因下周便開始發售 iPhone 4S, 我們最早可以於 11 月 04 日 (本周五) 開始預訂. 雖然 Apple 尚未公佈香港相關售價, 但業界普遍認為 iPhone 4S 將維持舊有 iPhone 4 的價格. Gizzomo 香港將密切留意 Apple 的最新消息, 並將在此平台發佈有關的消息更新. iPhone 4S is packed with incredible new features including Apple’s dual-core A5 chip for blazing fast performance and stunning graphics; an all new camera with advanced optics; full 1080p HD resolution video recording; and Siri™, an intelligent assistant that helps you get things done just by asking. Beginning Friday, November 11, iPhone 4S will be available in Albania, Armenia, Bulgaria, El Salvador, Greece, Guatemala, Hong Kong, Malta, Montenegro, New Zealand, Panama, Poland, Portugal, Romania and South Korea. iPhone 4S is available today in 29 countries around the world and will be available in more than 70 countries by the end of the year. 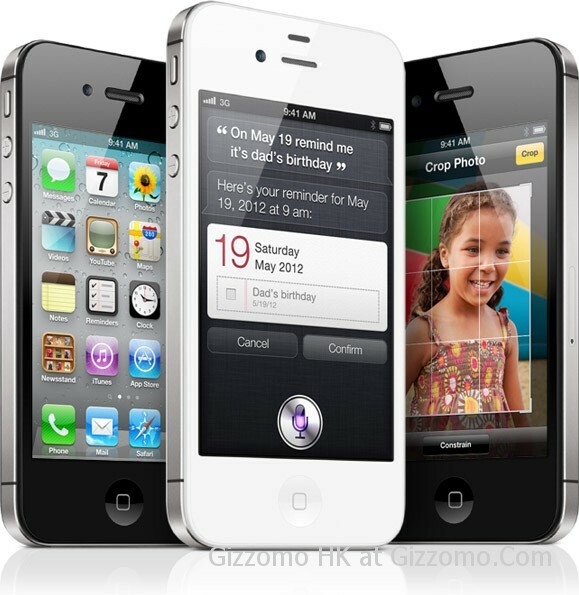 iPhone 4S comes in either black or white for a suggested retail price of $199 (US) for the 16GB model, $299 (US) for the 32GB model and $399 (US) for the new 64GB model. ** iPhone 4S is sold through the Apple Online Store, Apple’s retail stores and select Apple Authorized Resellers. iPhone 4 is available for just $99 (US) and iPhone 3GS is available for free with a two year contract from participating carriers. 平日喜歡留意 Apple 相關的動向; 在 Gizzomo 香港的新聞資訊平台中, 一定會為大家帶來至新的資訊. 如果你有問題, 亦在我能力範圍之內, 我一定會盡力解答你的問題.